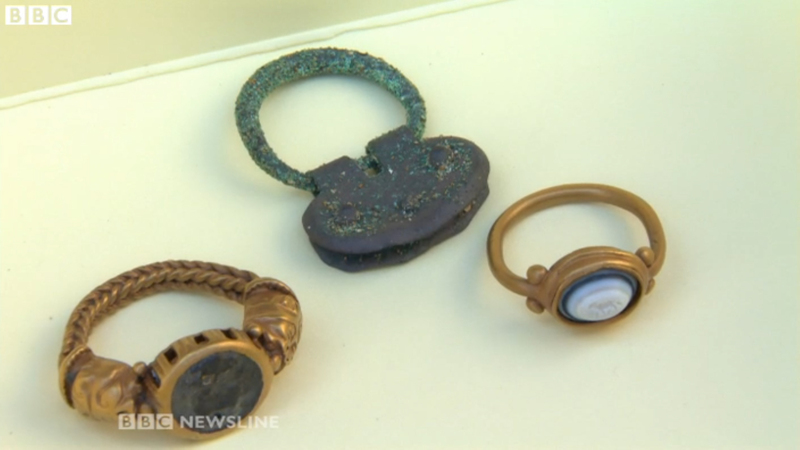 Two Roman rings and a silver belt buckle unearthed at a beach in County Down, Northern Ireland have been declared to be treasure by a coroner in Belfast. 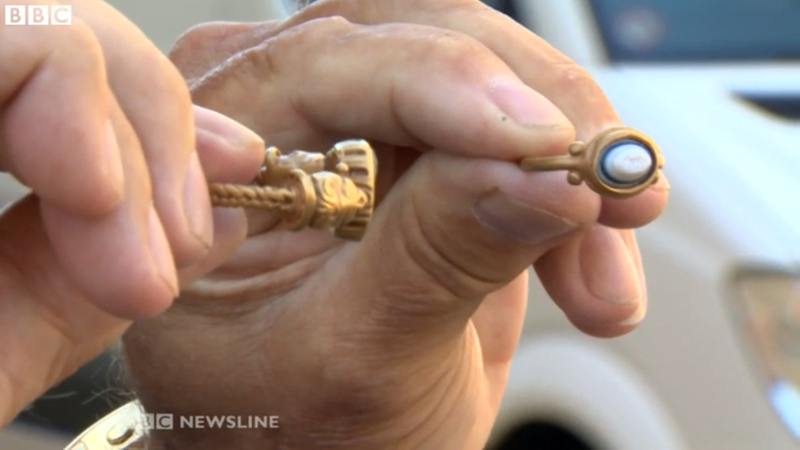 The three artefacts were found by Brian Murray, metal detecting enthusiast at Murlough in Dundrum Bay. They have been portrayed as extremely important and rare Roman artefacts in the context of Irish history. They will be shipped to the British Museum in London for further inspection and valuation. Whatever they are worth Mr Murray, from Newtownards in County Down, will get 50% of the value. 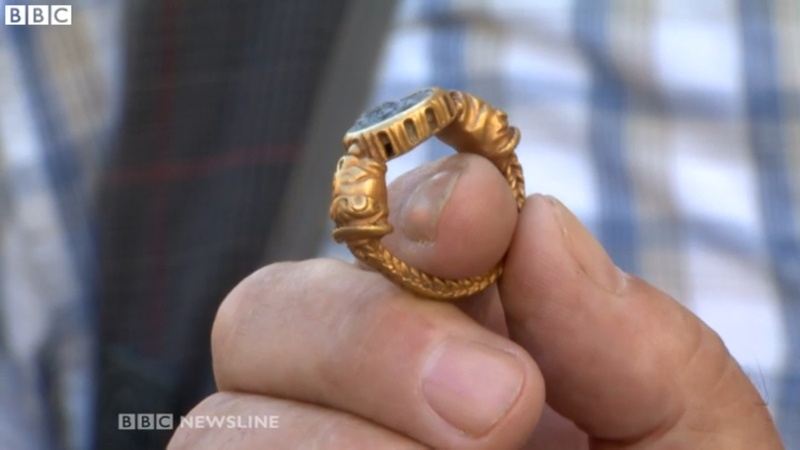 A treasure trove inquest was held on Wednesday to establish the circumstances around how the artefacts were discovered. To be classified as treasure, objects must be at least 300 years old and have a metallic content of at least 10%. Mr Murray said he discovered the items within five minutes and within an area of one square metre. Dr Greer Ramsey, an expert from the National Museums of Northern Ireland, said it was possible the items had all belonged to the same person. Roman material is incredibly rare, so this makes this hoard of special significance. It is possible that it belonged to a burial and someone was buried at sea. It is equally possible that somebody was wearing it when their ship went down. This is putting the north-east of Ireland on the Roman map. The buckle is similar to those found in Britain dating to the 4th century AD.